Podiatrists are doctors specifically trained and specialised entirely in the feet. It’s their job to diagnose and treat foot ailments, as well as rehabilitate anyone who is suffering from foot problems and give help and advice to anyone who might need it for better foot health. So, what does a podiatrist treat? Is there a difference between a podiatrist and chiropodist? Nope. It confuses quite a lot of people, but the truth is that podiatry is the name given to what used to be called chiropody in the UK and some other parts of the world. You may also hear a podiatrist called a podiatrist surgeon, a podiatric surgeon or a doctor or podiatric medicine. Ingrown or thickened toenails: This is where the nail starts to grow into the skin beside the nail, causing tenderness and pain. Fungal infections of the toenails: The visible signs of this are yellow or white streaked nails, as well as general distortions. It’s typically easily treated with antifungal medication. Calluses and corns: Areas of the hard skin caused by ill fitting shoes and friction from walking and another day to day activities. While you can treat corns by removing the affected area, unless addressing the particular cause of the corn or callus, it will only come back. Luckily, your podiatrist will be able to assess your feet and tell you what might be causing your problems, and how to solve them. Verrucas: Warts that affect the bottom of the feet specifically, these are easily treated with medication. Athlete’s foot: Itchy, red or scaly skin, athlete’s foot is another fungal infection, this time normally around the toes and bottom of the feet. Wetting the feet repeatedly without correctly drying can cause it, but is easily treatable once identified. Smelly feet: While this isn’t normally a medical issue, your podiatrist can give you steps to reduce the problem. Dry or cracked skin and heels: Again, this is usually not a medical problem, and a proper foot care regime can treat it. Flat feet or overly arched feet: While it sometimes isn’t a problem, flat feet can be a problem, especially for anyone who’s regularly on their feet as part of their workday, or who regularly exercises. A podiatrist will be able to give you orthotic insoles or dedicated shoes that fix this problem, as well as other advice. Bunions: Caused by a slowly built up deformity of the big toe, bunions can be incredibly painful. It is manageable through exercises and footwear if caught early on, but if left long enough, surgery can be the only option. Blisters: I’m sure you’ve had a blister. If it becomes a regular, recurring problem, there could be an underlying reason which your podiatrist can identify. Gout: It is a form of arthritis that causes severe pain in joints, generally joints near the end of limbs. It’s caused by a buildup of uric acid and can be a sign of underlying issues. While a podiatrist would refer you to a GP to deal with the causes of gout, they can help you manage the problem and give you advice on how to handle the symptoms. Biomechanics: A podiatrist can assess the way you stand and walk, and prescribe you exercises to help you move better, which can deal with chronic pain or other issues you might be facing. First off, if you’re currently suffering from any of the above issues, your GP might refer you to a podiatrist for treatment. Whether you’ve seen your doctor or not, if you’re suffering from foot pain, toenail problems, dry or cracked skin, foot growths like warts or verruca, or any other foot issues, you might want to see a podiatrist. Podiatrists are also great if you want to understand your feet and gait, which is the manner of how you walk and how it affects your body. If you’ve got flat or high arched feet, your podiatrist can give you orthotic insoles designed mainly to support your feet and deal with arch and heel pain. All you do is place them in your shoes, and they take pressure off of your feet, realign your posture, and make walking and standing more comfortable. Now you’ve finished the article. Hopefully, you’ve learned the particular podiatrist definition and everything that they can help you. 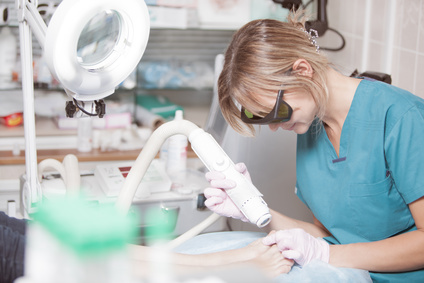 If you’ve struggled with any of these issues, or you’ve ever just wondered to yourself ‘What does a podiatrist treat?’ then now you know, and they could just be what you exactly need. If you’ve experienced treated by a podiatrist, we’d love to hear from you. Tell about it and how it went in the comments below, what they helped you with and whether it helped. We’d love to hear your stories.